A team of biologists and engineers have evolved their micro-scale 3D printing technology to add a fourth dimension: time. 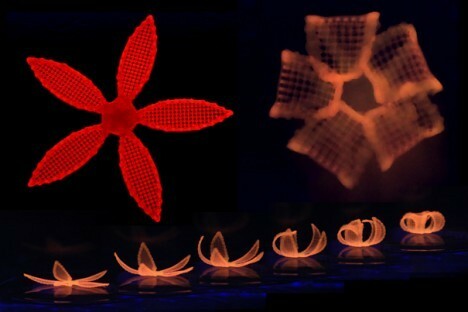 Inspired by natural structures like plants, which shift shape in response to environmental stimuli, the Harvard University team has unveiled 4D-printed hydrogel composite structures that change in the presence of water. 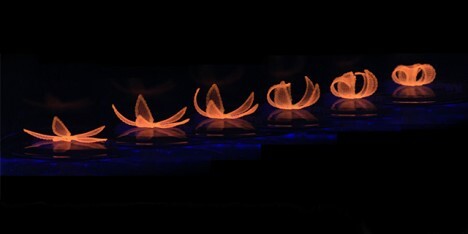 The orchid-shaped structure is printed with a hydrogel composite ink containing aligned cellulose fibrils, which enable anisotropic swelling. A mathematical model predicts the precise shape transformations in advance. In nature, the tissue composition and microstructures of flowers and plants allow environmental changes, like tendrils, leaves and flowers folding and unfolding in response to wind, light and sun. These 4D-printed forms use similar processes, aligning elements during printing to facilitate stiffness and flexibility. 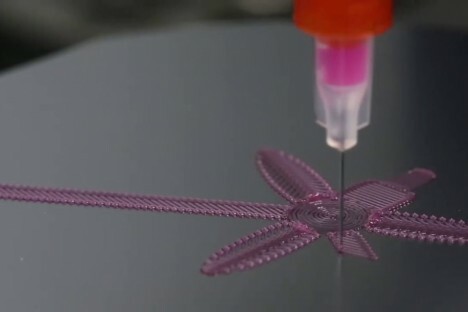 The new method opens up new potential applications for 4D printing technology, including smart textiles, soft electronics, biomedical devices, and tissue engineering. See more in Industrial Design or under Technology. March, 2016.